Fitting two visits in one day is a challenge so squeezing in three seemed impossible. I’m always up for a challenge though. I have a soft spot for Lancaster as I spent four years there training to be a teacher so it’s always great to return. 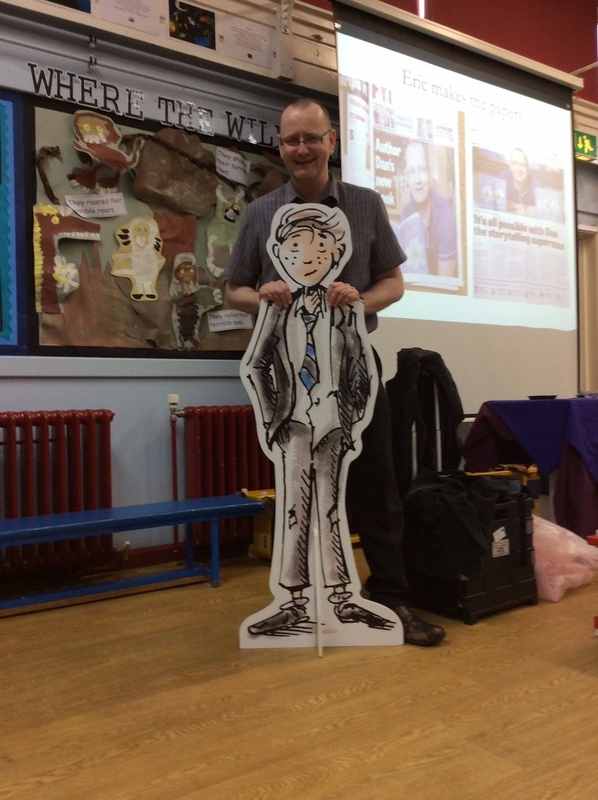 After a mini trip down memory lane, I headed to Scotforth St Paul’s C of E Primary and set up ready for a 9:15am author talk with Year 2 – 6. 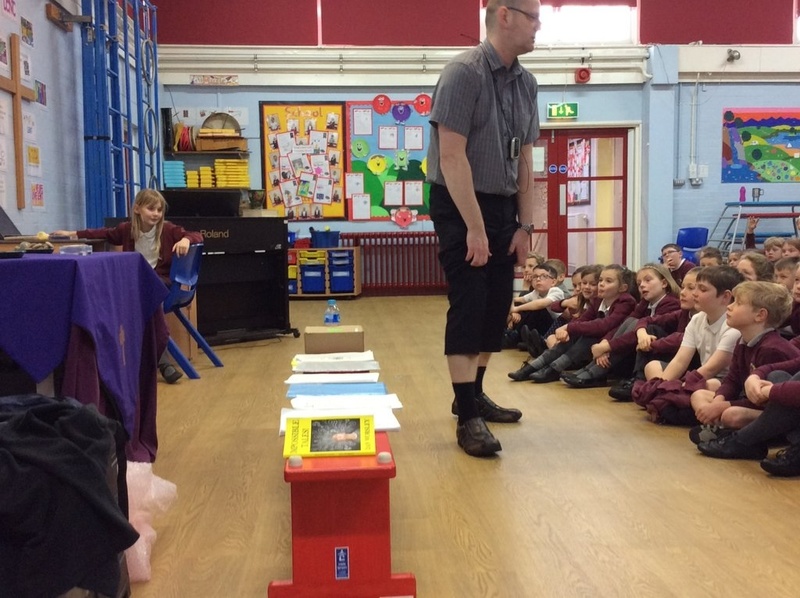 I hadn’t visited the school so I shared the Tales and read an extract from Blown Away. The children laughed at all the right bits which was ace. I then shared Eric’s story with the children. They listened really well throughout the session and it was a pleasure to visit their school. After scooting across the city, I arrived at Slyne-with-Hest St Luke’s C.E. Primary and set up for an 11am start. I had visited the school with Impossible Tales so after a brief recap and update, I introduced the children to Eric Appleby. They enjoyed looking at the illustrations and listening to extracts. 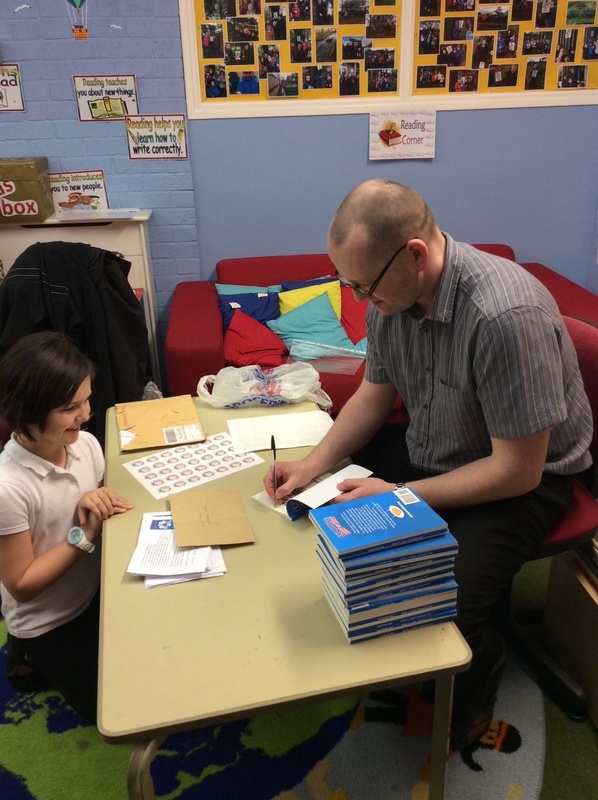 It was great to see the children and staff again and the visit was topped off with a book signing at lunch. I hope the children enjoy reading Eric’s adventure. The last stop of the day was at Archbishop Hutton’s Primary in Warton. It had been a year since my last visit so it was great to see everyone again. I updated the children on Impossible Tales then introduced them to Eric. 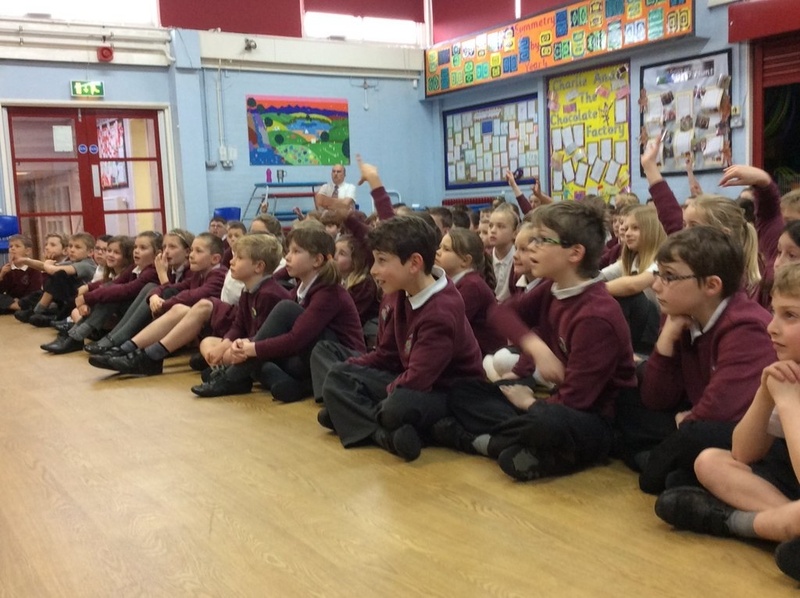 They listened really well and asked loads of great questions at the end. It was lovely to sign some books for the pupils and I’m excited to hear what they think of the story. It was a brilliant day and I enjoyed sharing the stories with nearly 500 pupils. Huge thanks to the three head teachers: Mrs Gaydon, Mr Bowden and Mrs Aylott for organising the day. Special thanks to Mr Bowden for the tweets and the pictures. Hopefully I’ll see you all again soon.